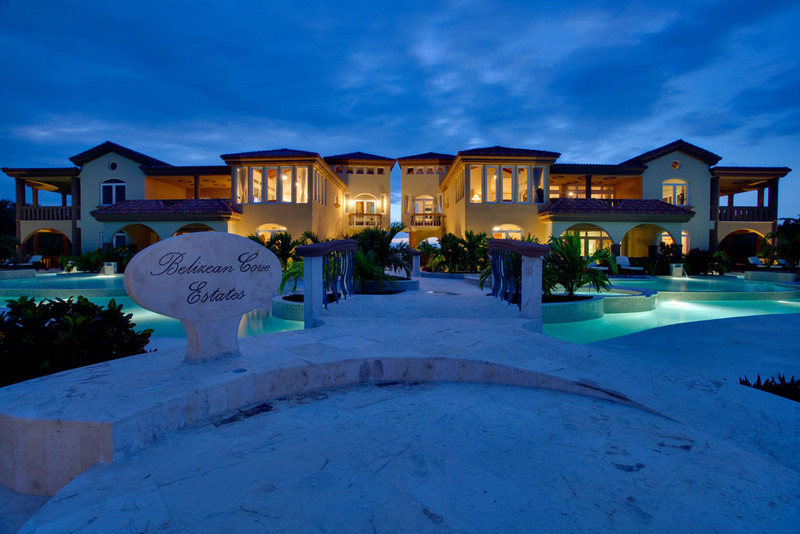 Belizean Cove Estates "Our Belize Vacation" - "Our Belize Vacation"
Three bedrooms, each with a private bath and king-size bed, celebrate the natural diversity of Belize through hand carved headboards and artwork representing the island, the reef, and the rainforest. 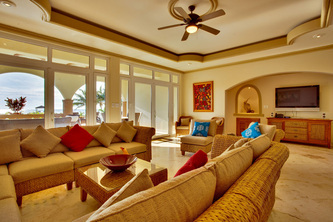 A full-size futon and queen sofa bed provide additional sleeping options to accommodate parties of up to eight guests. 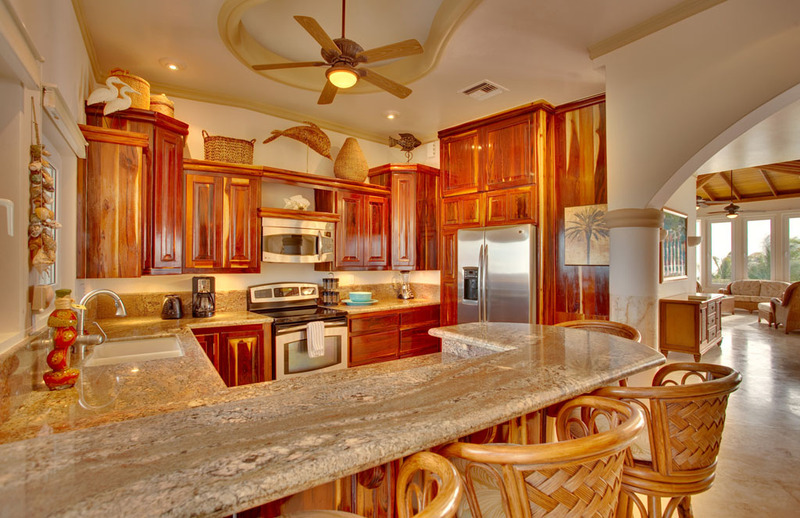 The fully equipped gourmet kitchen contains all you need to create that island meal or tropical drink to be enjoyed on the spacious poolside verandah. 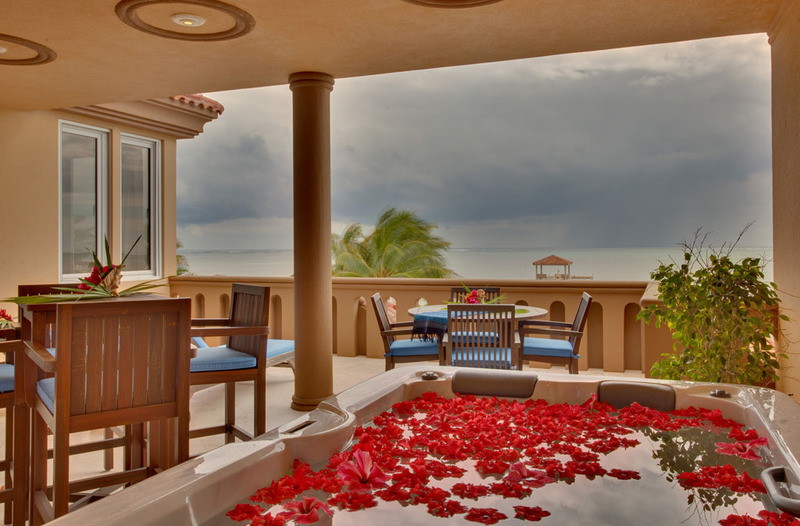 A perfect setting to watch the sunrise over the reef as you enjoy your morning coffee or a place to linger in the evening for stargazing, your verandah allows instant access to the beautiful pool accented with tropical planters. 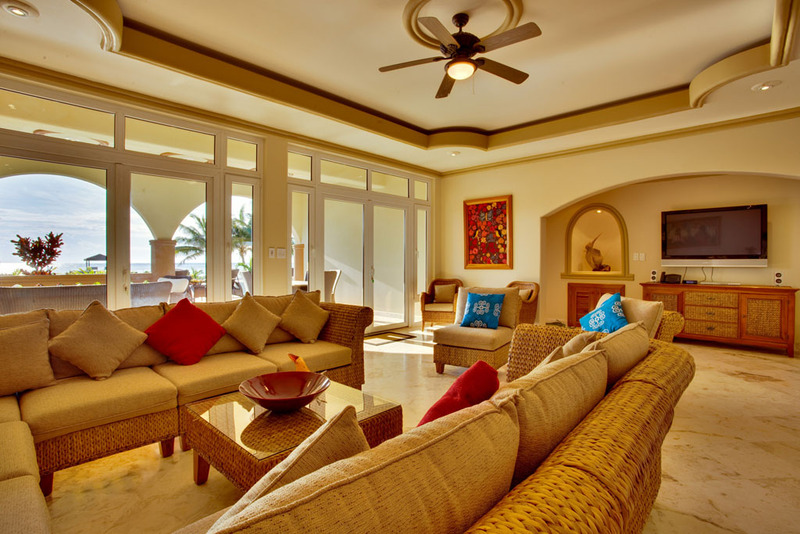 When the sun goes down, browse through the DVD selection and relax in front of one of the flat-screen TVs, borrow a book from the shelf, or settle at the large dining table for a game of cards. 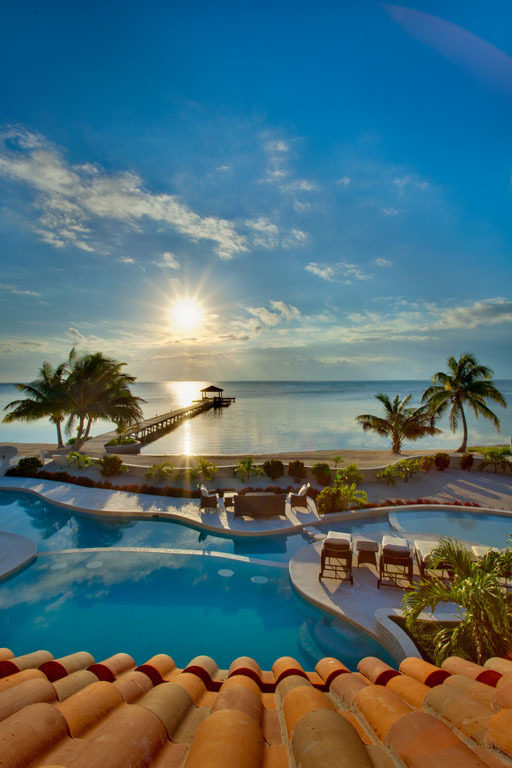 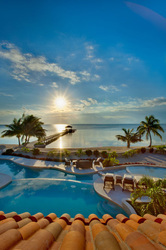 Whether your vacation is quality time with family or a celebration with friends, Villa Solemar offers memorable sunrises and a beautiful view of the sea as you experience the magic of Belize. 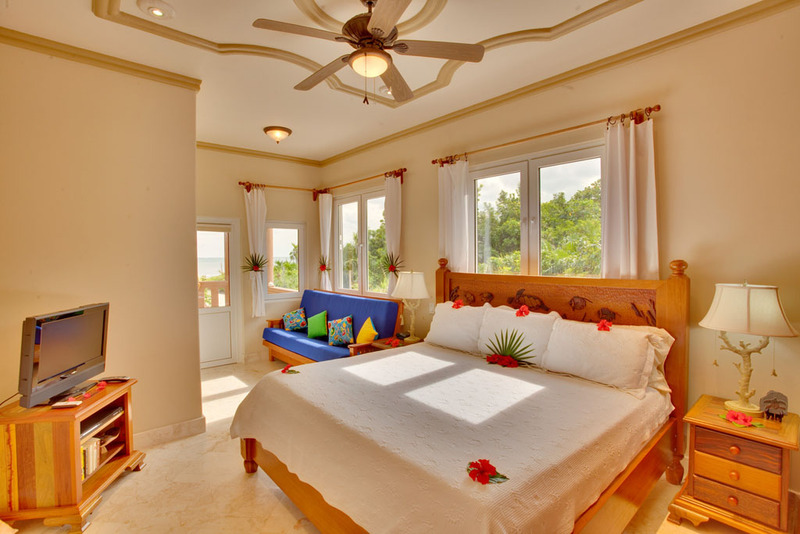 Spacious king size bed in the beautiful master bedroom suite.....your own private Jacuzzi tub on the verandah overlooking the turquoise waters of the Caribbean Sea and Barrier Reef. You will be surrounded by luxury in a magnificently designed villa featuring a unique combination of recessed and vaulted ceilings, spectacular Belizean Mahogany and other indigenous hardwoods, with Mexican Macedonian stone floors. 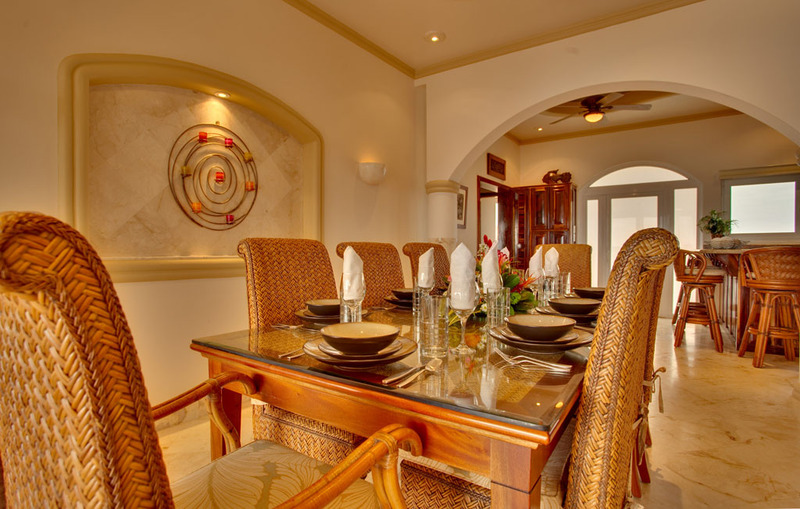 The beautifully decorated villa features custom designed furniture from Indonesia and the elegant artwork truly gives the villa an international flavor. Caribbean Soul Villa is located on the first floor and features tiled marble floors, and vaulted ceilings, which accentuate how, open and spacious this Villa is. 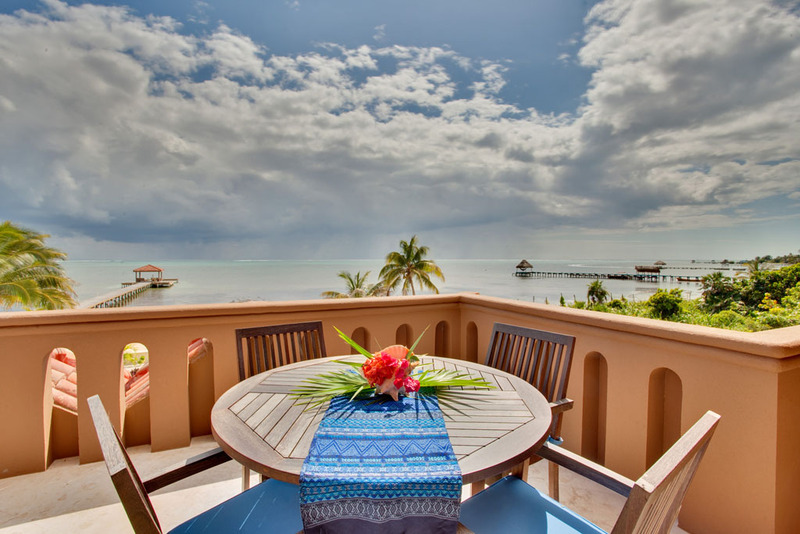 From its private, fully furnished, poolside verandah, Caribbean Soul offers one of the most amazing beach, barrier reef, and ocean views on Ambergris Caye. 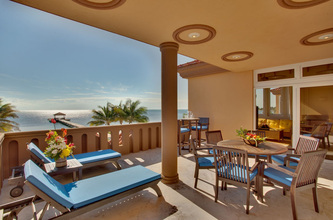 This same view can be enjoyed, unobstructed, from inside the oversized living room, through the 20ft. 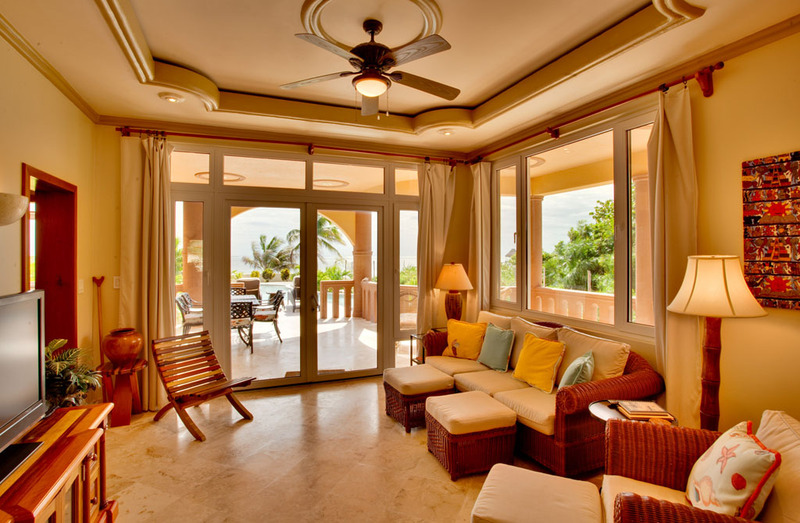 long wall of windows and glass doors, opening directly out onto the veranda. 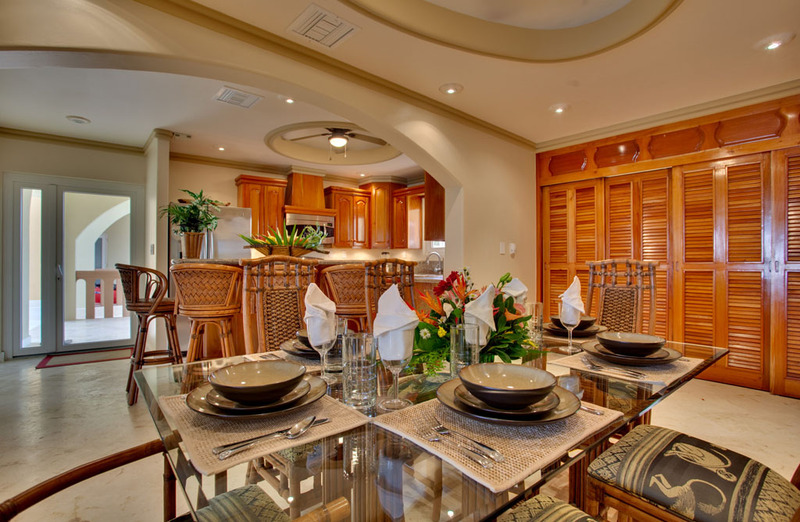 Furnished beautifully with comfortable seating for at least 12 people, the enormous living room also boasts a 50" plasma high definition TV and an iHome iPod stereo docking station with subwoofer, as well as wireless internet access, and cable television. 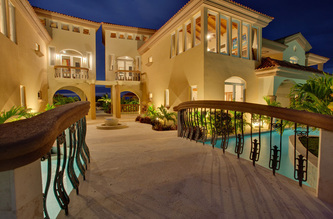 The entrance to Caribbean Soul is via another verandah, also marble decked. 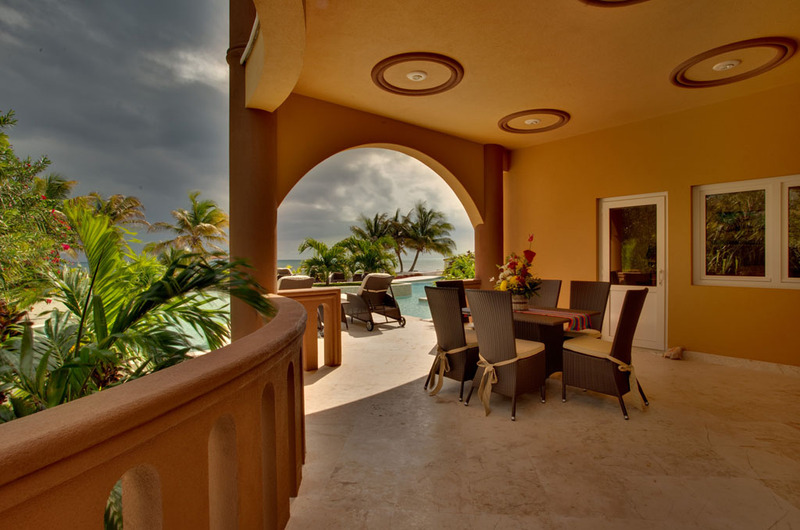 This wonderful outdoor space, has beautiful views of the reef, and is the perfect place to watch the sun as it sets over the lagoon, or as it rises over the ocean. 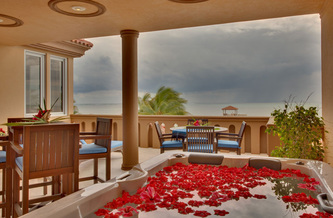 The master suite overlooks the ocean, and offers gorgeous sunrise views from a king size bed. 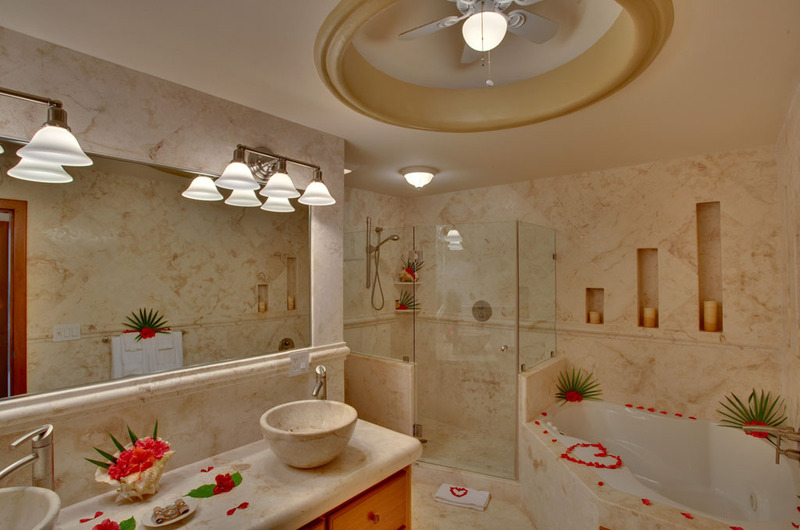 The luxurious marble bathroom features a whirlpool bathtub, a marble standing shower, and dual marble sinks, is joined to the bedroom by a walk-through closet. 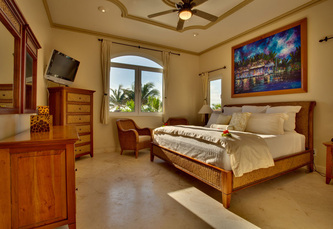 The bedroom is furnished with a 32" high definition flat panel TV, and offers the ultimate in privacy and luxury. 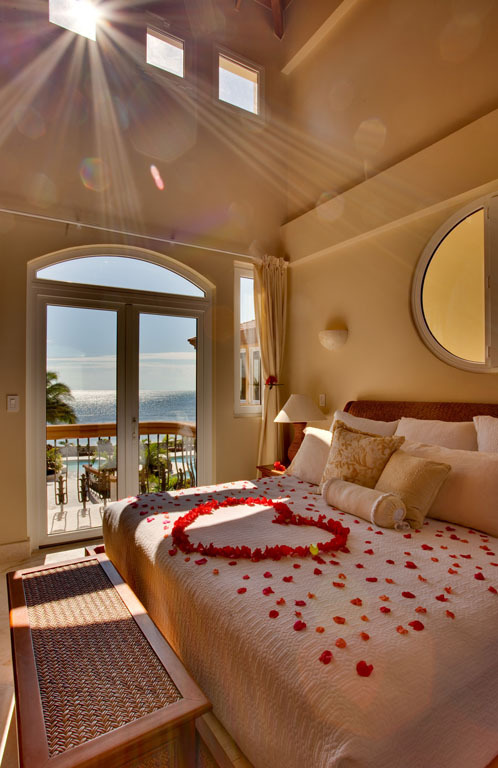 The "French Door" bedroom, given the name because of its glass paned, double French doors, with views of the ocean, and pool, offers a queen size bed, oversized closets, and a private, marble bathroom, with standing shower. The "Sunset" bedroom, also complete with private marble bathroom with standing shower, and ample closet space, has it's own private entrance, providing indoor/outdoor access. 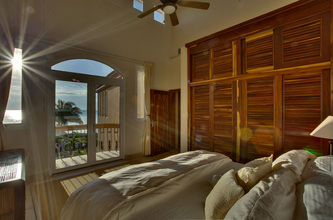 This bedroom is furnished with two twin beds and beautiful views of the sun as it sets in the evening. The entire Villa is decorated beautifully, with original works by local Belizean artists. 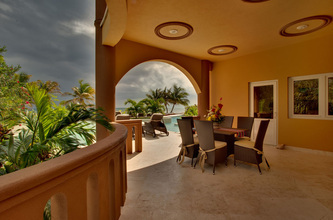 Sprawling brightly colored paintings, amazingly detailed wooden carved sculptures, and beautifully woven tapestries adorn the entire villa, and celebrate the vast talents of local artists. 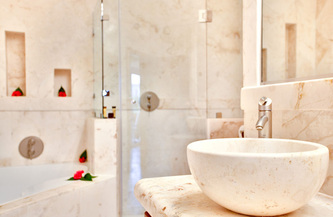 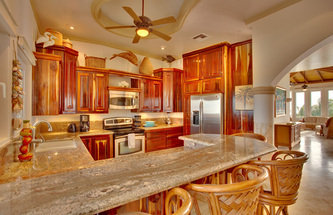 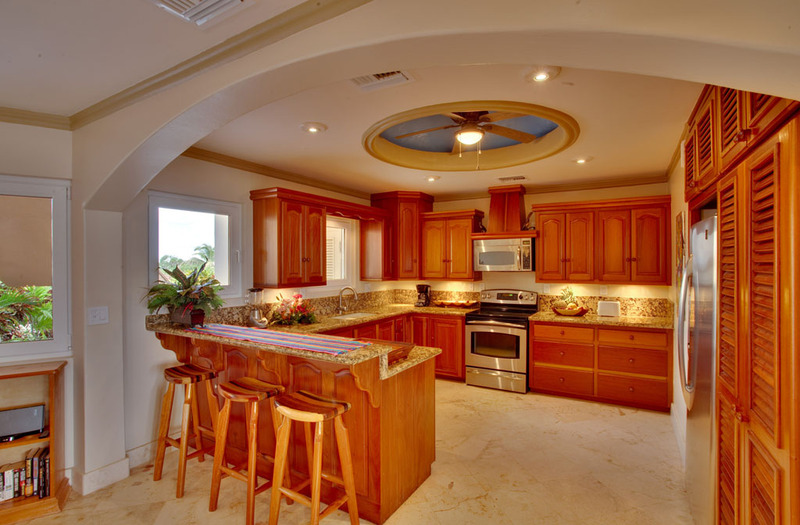 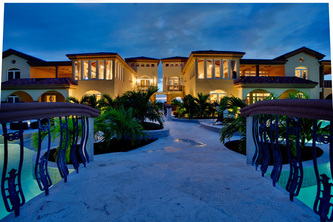 Villa del Mar provides guests with unsurpassed luxury and comfort. 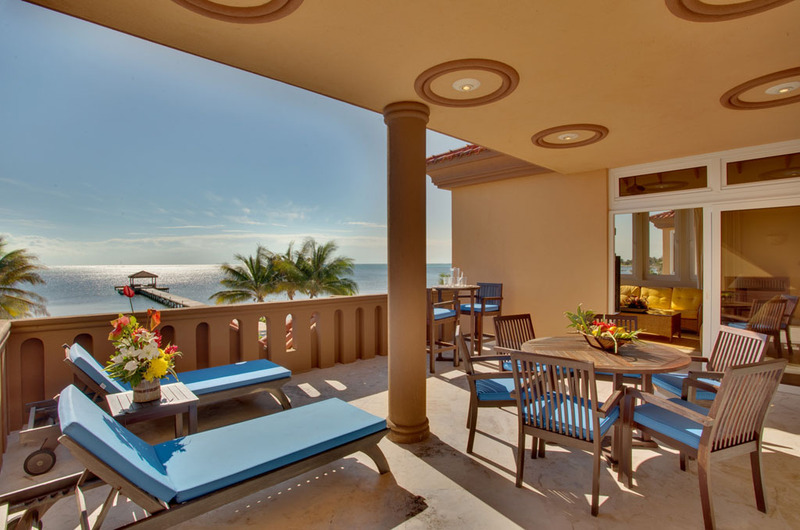 This spacious upper unit features a stunning combination of ceiling features and breathtaking views of the Caribbean Sea and barrier reef. 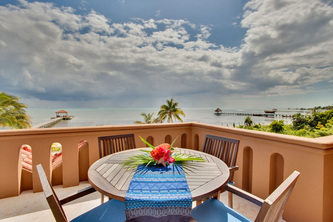 Villa del Mar is appointed with custom designed furniture from Bali, antique carved wood panels, and the colorful artwork of prominent Belizean artists such as Walter Castillo. 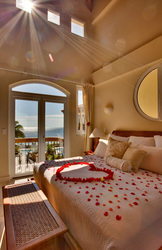 The three bedrooms offer a king, a queen, and two double beds, all with pillow top mattresses and fine linens. 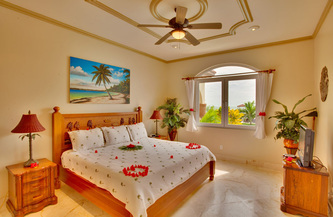 The master bedroom, with king bed and luxurious bathroom with shower and whirlpool tub, has a magnificent ocean view. 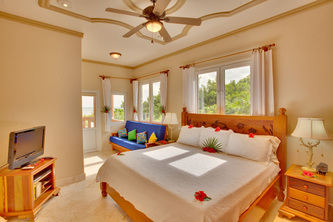 The second bedroom, with queen bed, is decorated in whimsical island colors and a darling third bedroom, with two twin beds, features a Mayan theme in its decor. 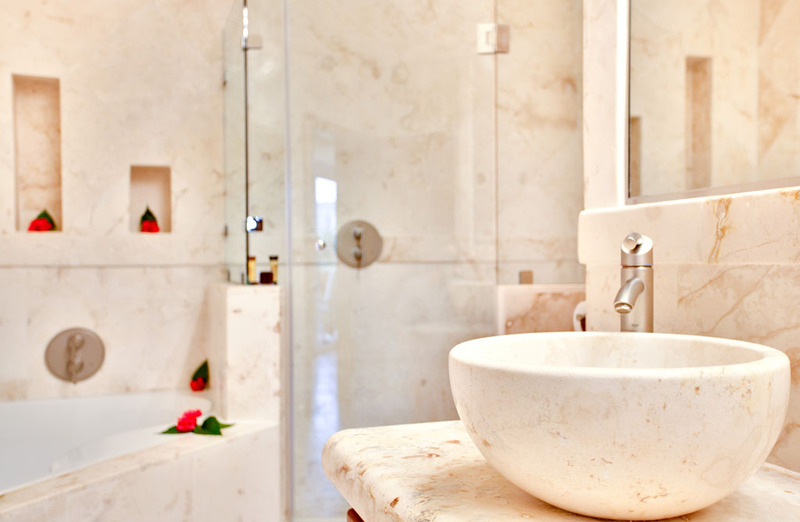 Each bedroom has a door to the outside, many windows and a full bathroom in Mexican Macedonia marble. This beautiful condominium home is named Brushstrokes Villa to reflect the owners' love and appreciation for the art and people of Belize. 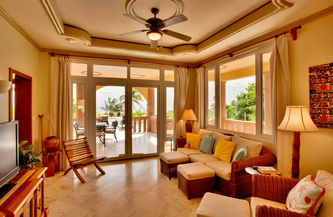 Located on the second floor, Villa Watina enjoys stunning views of the Carribbean Sea. There are three bedrooms, each with their own private bath. 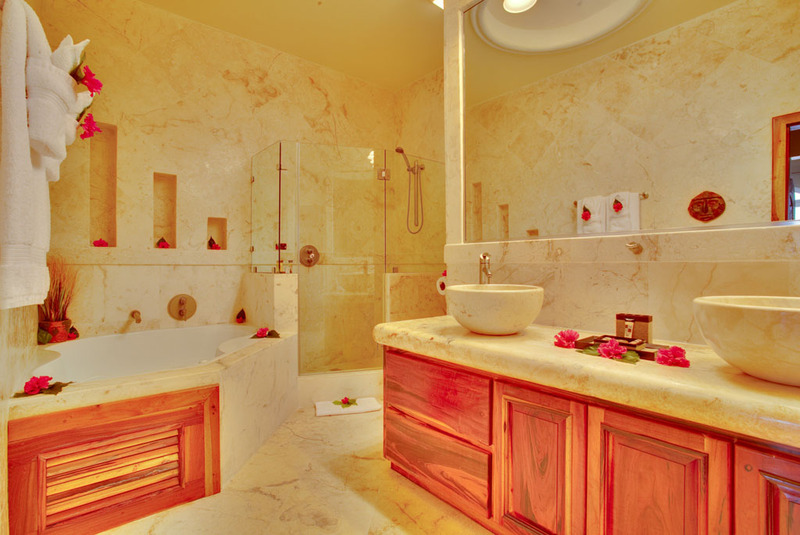 The master bedroom offers a king sized bed and adjoining spacious bathroom with shower, whirlpool tub and two sinks. Guest bedroom one features a hand crafted, queen-sized bamboo canopy bed and its own bath with shower, and also a slider to the veranda. 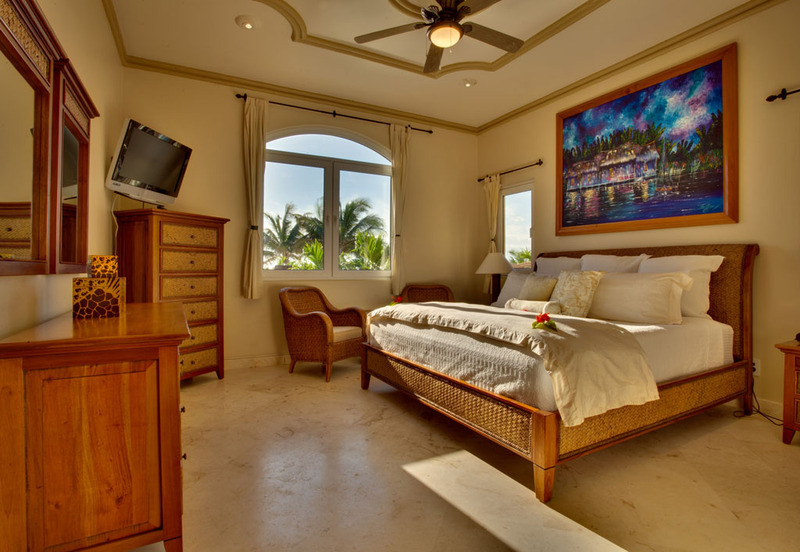 Bedroom two is decorated in Mayan style with a beautiful queen-sized bed, bureau and night stands crafted right on Ambergris Caye. 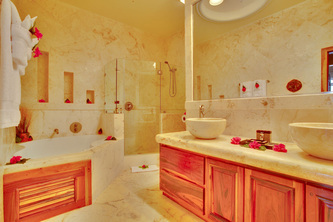 It too offers a private bath. 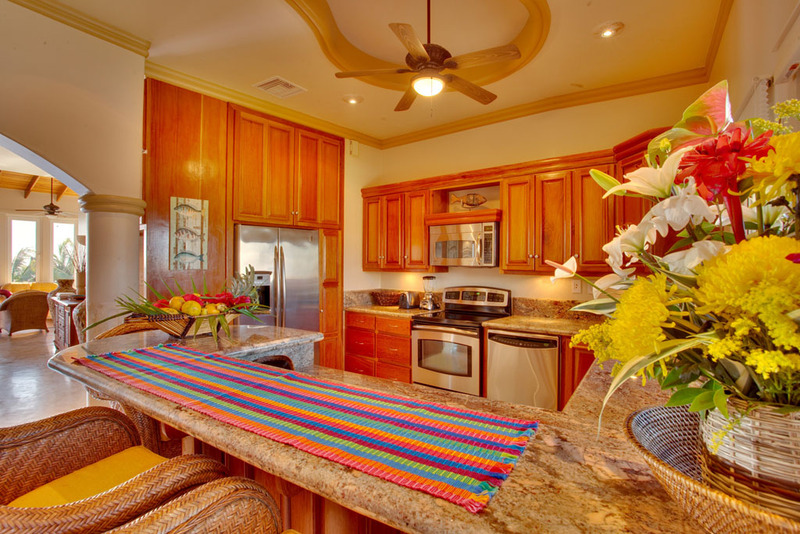 If you would like to do some cooking during your stay, the spacious gourmet kitchen is completely appointed with everything you need to prepare delicious meals. 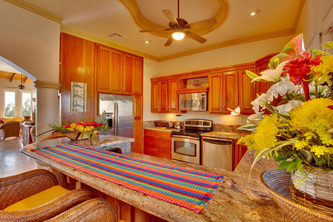 Get away from it all while staying in complete touch with wireless internet access and cable broadcasts on the 40" flat screen plasma TV. Also, be sure to bring your CD's or iPod and enjoy all your favorite music with the iPod ready 6 speaker surround stereo system in the spacious living room.